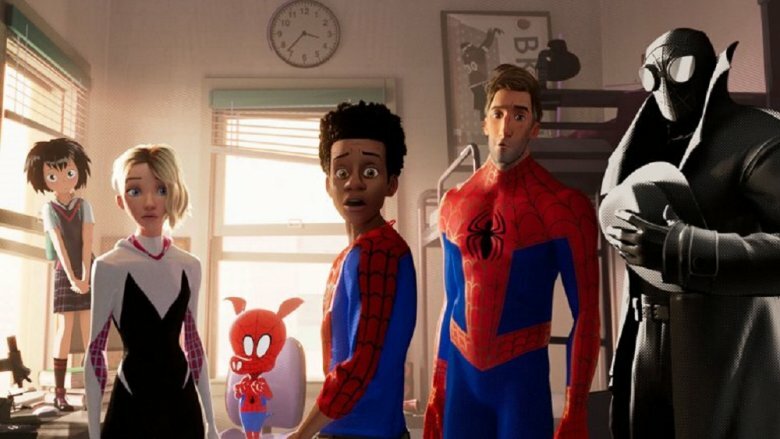 Sony Pictures Animation hasn't taken us Into the Spider-Verse yet — but the studio is busy planning a return trip. A sequel is already in the works for the highly-anticipated animated feature Spider-Man: Into the Spider-Verse, as well as a spin-off focused on the female characters featured in the upcoming flick. According to The Hollywood Reporter, Sony and Marvel have secured the services of Joaquim Dos Santos to direct the Spider-Verse sequel. Dos Santos made a name for himself with his work on Justice League Unlimited and Avatar: The Last Airbender, and has most recently contributed episodes to Airbender follow-up series The Legend of Korra and Netflix's Voltron. As with all of Sony's Spider-related projects, Amy Pascal will be on board as a producer; Phil Lord and Chris Miller, who contributed to Spider-Verse as a writer and producer, respectively, are also expected to be involved, though this has not been confirmed. Lord and Miller are the brains behind the wildly popular Lego animated films, but most recently made headlines for being unceremoniously canned as co-directors of Solo: A Star Wars Story midway through production. That setback didn't cause the pair to break their stride, however. In addition to their contribution to the ever-ballooning canon of Spidey films, the pair have Lego Movie 2: The Second Part in the pipeline for next year, as well as an animated Scooby-Doo feature and an adaptation of Andy Weir's (The Martian) 2017 sci-fi novel Artemis, both of which are slated for 2020 releases. As for the spin-off project, Sony announced that Lauren Montgomery (who also worked on Voltron, and co-directed the DC animated flicks Batman: Year One and Superman/Batman: Apocalypse) will helm the picture from a script by first-time feature writer Bek Smith. While no details were made available, the smart money is on the Spider-Woman of Earth 65 — AKA Spider-Gwen — to take center stage. While it's obviously unusual for a sequel to be announced before the first film has even hit theaters, this is something of a special case. Spider-Man: Into the Spider-Verse has generated an absolutely insane amount of buzz, and with their live-action Tom Hardy starrer Venom currently gobbling up roughly all of the box office dollars, Sony has to feel like it's on a roll worthy of putting the pedal to the metal on future projects. With Sony and Marvel's shared custody arrangement for the wall-crawler's movie rights set to be up for renegotiation after next year's as-yet-untitled Avengers 4 and Spider-Man: Far From Home, it makes a fair amount of sense for Sony to try to bite off as big a piece of the Spider-Pie as they can. The studio already has Venom 2 and a flick centered on Spidey nemesis Morbius (set to star Jared Leto) on tap; the success of these projects, plus their animated slate, could go a long way toward strengthening their bargaining position with Marvel when the time comes. Until that time, Spidey fans can rejoice in the fact that their hero is enjoying a big-time silver screen renaissance. Tom Holland has won the hearts of fans as the MCU's version of the wall-crawler, and if the animated feature lives up to its buzz, we're about to get a truly amazing version of one of the most bonkers storylines to ever grace the pages of Spider-Man comics. We'll just go ahead and say it one time for the late, great Stan Lee: Excelsior! Spider-Man: Into the Spider-Verse hits theaters nationwide on December 14.